RSA panelists address the delicate technical challenges of combating information warfare online without causing First Amendment freedoms to take collateral damage. Neither machines nor humans might be entirely trustworthy, but the cooperation of the two might be the answer to issues of misinformation, deep fake videos, and other issues of trust, say security leaders. New global survey shows businesses are valuing IoT security more highly, but they are still challenged by IoT data visibility and privacy. 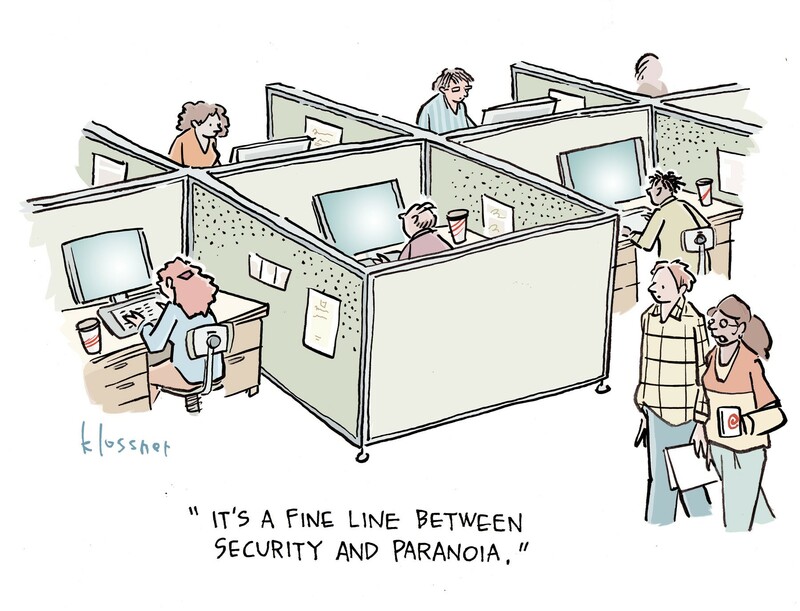 Don't be shy, security practitioners. Share your best practices at our 2nd annual INsecurity Conference, to be held Oct. 23-25 in Chicago. Booz Allen survey shows most organizations' answer to the security skills shortage may be unsustainable. At RSA Conference, senior researchers will show how relatively unskilled attackers can steal personally identifiable information without coming into contact with endpoint security tools. Former officials at DHS, DOJ, and DOD diverge on issues of attribution and defining what constitutes an act of cyber war. On the keynote stage, execs from Microsoft and McAfee introduced a new Cybersecurity Tech Accord. Outside attackers still the biggest problem - except in healthcare. Attackers and malware can easily move laterally through an organization, thanks to inadequate access controls on file systems and a proliferation of inactive but enabled users. In first trip to Mid-Atlantic Collegiate Cyber Defense Competition, University of Virginia's Cyber Defense Team defeats reigning national champs from University of Maryland, Baltimore County. A 9.6% increase just in the past year, and denial-of-service attacks are partly to blame. The canary in the coalmine died 12 years ago, the law went into effect 19 months ago, but many organizations still won't be ready for the new privacy regulations when enforcement begins in May. If you're just getting on the EU General Data Protection Regulation bandwagon, here's where you should begin. Sagie Dulce describes why developers are such attractive targets and how the Docker API can be exploited to use one of developers' favorite tools against them in sneaky, obfuscated attacks. Keen Security Lab found multiple holes in the isolation layer Tesla uses to protect drive systems from infotainment systems, but were impressed by the auto company's security in other ways. Ruben Santamarta shows radio-based vulnerabilities and investigates how the integrity of critical data can be manipulated to simulate, complicate or exacerbate emergency situations. Justin Harvey explains why the standard blue team vs. red team can be improved upon, and provides tips on doing purple teaming right. Assistant US Attorney Norman Barbosa visits the Dark Reading News Desk to discuss details of the credit card hacking case that led to an unprecedented 27-year prison sentence. Ravi Borgaonkar describes new 3G & 4G vulnerabilities that enable IMSI catchers to be smarter, stealthier snoopers. Jules Okafor of Fortress Information Security explains that diversity efforts cannot shy away from discussions of racism and sexism. Twenty years from now, will everything be in the Internet of Things, and if so, how does the security industry need to prepare? F-Secure's chief research officer weighs in on this and what else the future promises (and threatens). Tal Be'ery and Tal Maor explain that the most pervasive, worst defended tactic of sophisticated attackers will soon be ready for script kiddies, and release GoFetch: a new lateral movement automation tool. Post-MedSec, Chris Wysopal discusses what impact the investor community -- if not consumers -- can have on squashing vulnerabilities and improving cybersecurity. The devices that were the subject of a vulnerability disclosure debate last summer now have an FDA-approved fix. It's a nightmare of an implementation error with no easy fix. Ty Miller and Paul Kalinin explain how and why an attacker could build an entire botnet inside your organization. Reasonably priced, module-based training courses and helpful forums will train a beginner in all the tools and techniques of the successful cybercriminal, Rick Holland of Digital Shadows explains. Palo Alto Networks researchers explain how they designed an affordable, behavior-based honeypot to detect attacks on an IoT device -- any kind of IoT device. Starting today, New York banks and insurers must report to authorities within 72 hours on any security event that has a 'reasonable likelihood' of causing material harm to normal operations. Don't let your fingers do the talking in a Skype session. The callers on the other end could know what you're writing, researcher Daniele Lain explains. At the car wash, look out for attack robots. Billy Rios discusses how IoT devices could be hacked to physically attack people -- not just on factory floors, but in everyday public settings. Dino Dai Zovi discusses the under-explored security aspects of Docker, data center orchestration, and containers. Federico Maggi and Andrea Continella discuss a new tool to protect filesystems by disrupting and undoing ransomware's encryption activities. Sophos data scientist Hillary Sanders explains how security suffers when good machine learning models are trained on bad testing data. At Black Hat USA, Matt Suiche, founder of Comae Technologies, describes what we know about the Shadow Brokers and how they have changed the business of cyber fear. Daniel Cuthbert and Stefano Zanero explain what the Black Hat review board is looking for in an abstract submission for the Briefings. Better visibility is essential to improving the cybersecurity of industrial control systems and critical infrastructure, but the OT-IT cultural divide must be united. The EU's new razor-toothed data privacy law could either rip you apart or help you create the best security program you've ever had. Here's how. Turns out that man-in-the-middling your own traffic isn't the safest way to look for man-in-the-middle attacks. Career development and mentorship programs make women in cybersecurity feel more valued, increase women's success. RSA Conference: Brad Smith also says the world needs a "Digital Geneva Convention" to establish the international rules for nation-state cyber conflict. Gen. Keith Alexander gives Trump a thumbs-up and Cloud Security Alliance releases a new application. 35 Russian intelligence operatives ejected from the US, and two of the "Cyber Most Wanted" are frozen out by Treasury Department. There were a few items that passed for good news this year. Yoran says recent Dell acquisition of RSA parent company EMC did 'not really' impact his decision to leave. 800,000 domains seized, sinkholed, or blocked, and five individuals arrested, in international effort to bring down botnet linked to 17 major malware families. Rise of booter and stresser services, mostly run on IoT botnets, is fueling DDoS excitement (but the pros aren't impressed). During a House Committee hearing today, Bruce Schneier also asks for the establishment of a new government agency devoted to cybersecurity. Join us, HackerOne's Alex Rice, and Veracode's Chris Wysopal for the next episode of Dark Reading Radio, today, Wednesday Nov. 16, at 1pmET. US alone will need 9,000 DPOs to meet GDPR mandates, says International Association of Privacy Professionals - but don't expect that many new job listings. Cheeky attackers make their lure an ad for Google Chrome. Task Force at George Washington University suggests ways for government to clear up legal quagmires, improve tools, keep us all out of trouble. Meanwhile, Locky puts ransomware on the Check Point Top Three Global Malware List for the first time ever. Plaintiffs hope to benefit from California's history of stricter cybersecurity and data privacy law. Six things we still don’t know about the Computer Fraud and Abuse Act after all this time. You really needed Cristiano Ronaldo or that Doomhammer. Cybercriminals will help you get it for a price, and it's not even entirely illegal. Too many alerts and too little staff leave security pros swimming in threat intel and begging for automation. Jay Radcliffe, researcher and diabetic who found the flaws in Johnson & Johnson Animas OneTouch Ping insulin pump, 'would not hesitate' to allow his own children be treated by the device if they were diabetic and advised to do so by physicians. Rick Holland of Digital Shadows explains how the attackers' superior business agility, faster change management, specialized job force, lower barriers to entry and bulletproof hosting keeps them ahead of the good guys. How merchants and criminals responded since the EMV liability shift for point-of-sale devices one year ago. And what changes can we expect after the liability shift for ATMs, which is just days away? 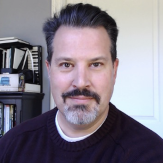 Jeff Welgan describes how best to improve cybersecurity literacy throughout the C-suite. By shipping banking Trojans and ransomware that turn big profits fast, spammers can now afford the high overhead of high-volume spam campaigns. Oh you don't run open-source code? Really? Christine Gadsby and Jake Kouns explain how to identify and secure all those open-source libraries and other third-party components lurking inside your applications, proprietary and otherwise. St. Jude Medical to host upcoming workshop on medical device info sharing, convened by NH-ISAC and medical device security consortium. Move over Apple 'Walled Garden.' Windows 10's new antimalware scan interface halts scripts by signing code on the fly... but does it work? Security researcher Nikhil Mittal takes a look. Jamesha Fisher, Security Operations Engineer of GitHub, visits the Dark Reading News Desk at Black Hat to discuss her work making security more accessible to the uninitiated, and how a predominately white and male information security field can better support women and people of color. Stop Blaming Users. Make Security User-Friendly. French criminals seeking black market goods and services -- cyber and otherwise -- have to look in darker shadows and work harder to prove their felonious credibility. Tom Nipravsky, security researcher at Deep Instinct, explains how to tell the difference between a digital certificate that's worth your trust and one that isn't. Aditya Gupta, CEO of Attify, talks about how to improve Internet of Things security and the very worst scenarios he's encountered in an IoT penetration test. Hacking Oliver Stone's new film about whistleblower Edward Snowden. Dan Kaminsky discusses how to improve the security and privacy of the Internet without destroying the openness and freedom to innovate that it has always provided. St. Jude vulnerability report could be test case for vulnerability disclosure. Many are borne out of the entrepreneurial spirit of the Israel Defense Force's Cyber Intelligence Unit 8200. Could any other nation keep up? Report: Penetration testers' five most reliable methods of compromising targets include four different ways to use stolen credentials, but zero ways to exploit software. Research released at Black Hat USA last week shows that one of our best defenses for the future of payment card and ATM security isn't infallible. Here's why. In action five years, highly selective threat actor has only been known to compromise seven organizations. Live from Las Vegas: over 40 video interviews with Black Hat USA conference speakers and sponsors. Wednesday Aug. 3, Thursday Aug, 4, starting at 2 p.m. ET. Jeremiah Grossman continues his crusade to make security vendors take responsibility for their own gear. New technique may be able to predict not only whether unfamiliar, unknown code is malicious, but also what family it is and who it came from. End users are the biggest weakness, and we're not doing enough to address the problem. When you set focused objectives for the red team, you get your blue team to work the weak muscles they need trained most. The Attribution Question: Does It Matter Who Attacked You? Everyone will ask whodunnit, but how can an organization put that information to practical use during disaster recovery and planning for the future? The Threat Group 4127 that hit the Democratic National Committee also went after 1,800 other targets with info interesting to Russian government, says SecureWorks. New 'attraction and curiosity' for infosec at the Intelligent Buildings Conference this week. Unfortunately, 75% of cloud apps will still fall afoul of the new EU General Data Protection Regulation, according to new studies. Cybercriminals know a good thing when they see it. You've heard of the cybersecurity rock stars, but there are plenty of other major contributors to the industry who deserve kudos. In celebration of Dark Reading's 10th anniversary, meet a few of these folks.